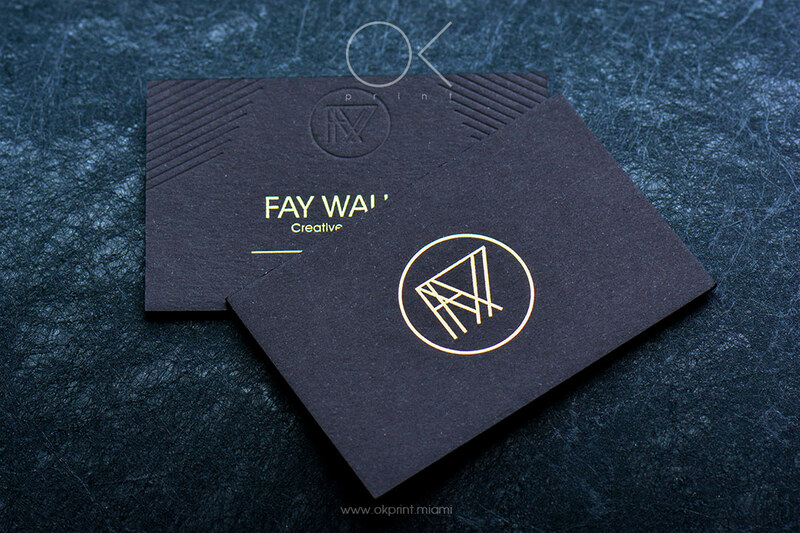 Business cards with foil stamping can be created with an array of materials to serve as their base (known in the industry as the ‘substrate’). 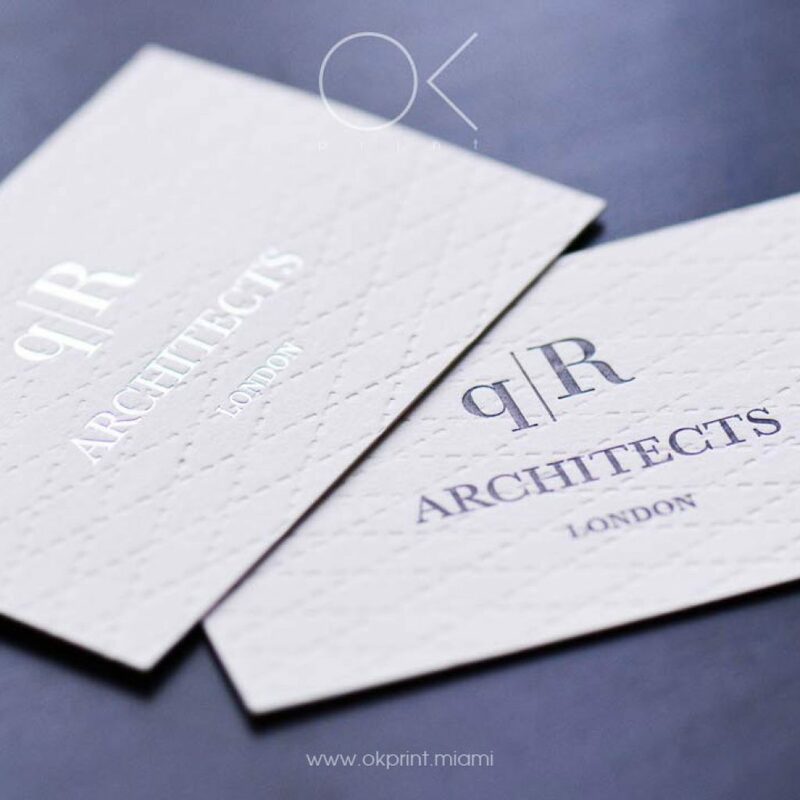 This includes conventional card, in addition to more innovative options, spanning wood, leather and a range of different plastics. 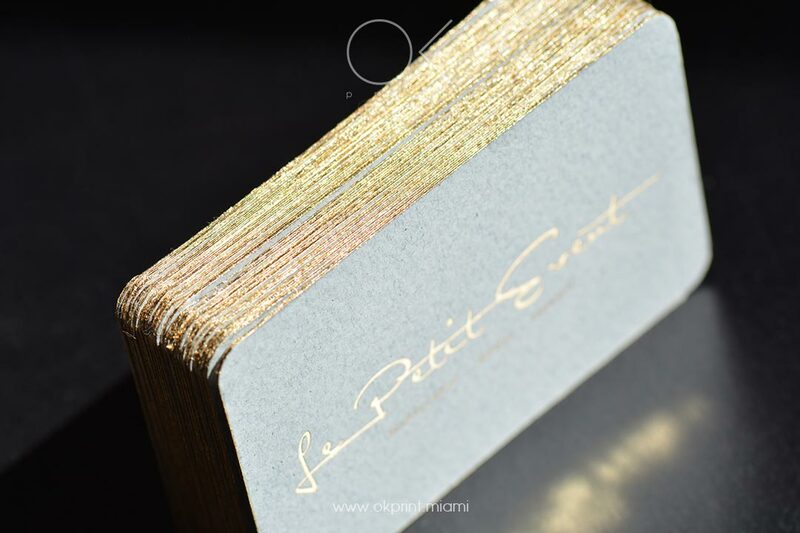 The exact method that we use to transform your designs into reality will depend upon the material chosen, but can include hot stamping and blind embossing. 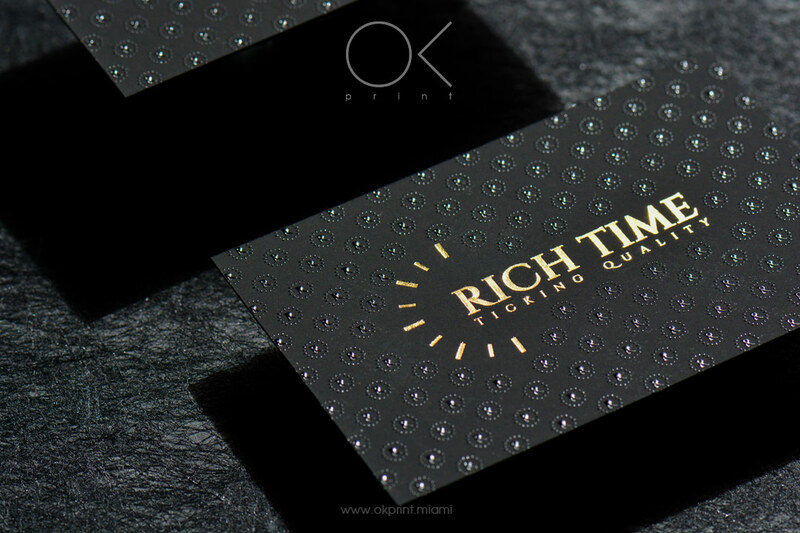 foil stamped business cards, and a glistening first impression. 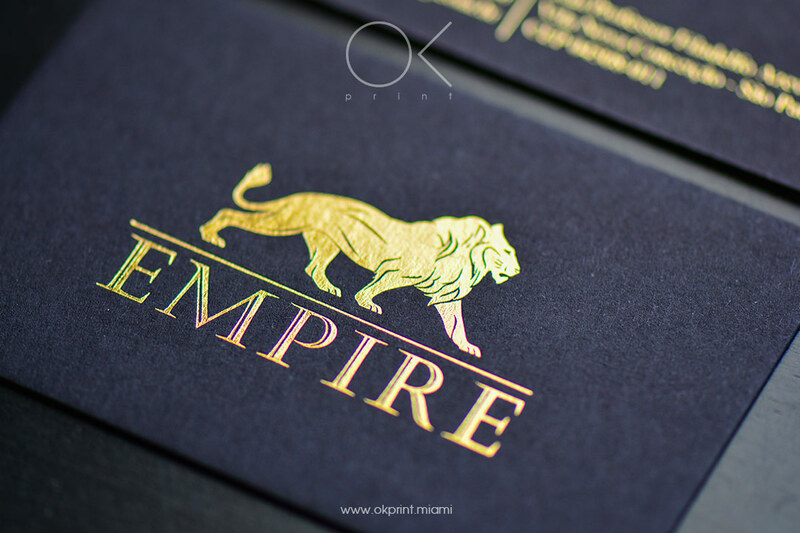 Foil stamped business cards can be nothing short of beautiful when created from a carefully crafted design, and brought to life with advanced machinery and processes. 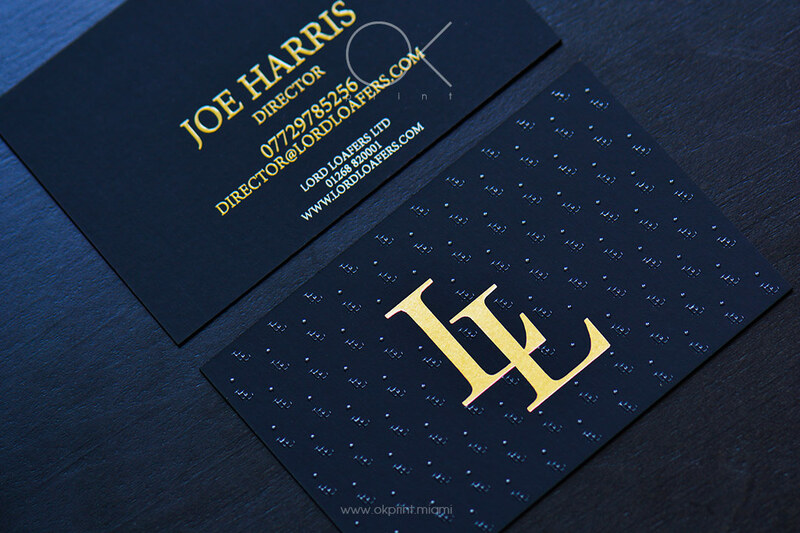 Their visual impact is certain to create a first impression that lasts, whilst the versatility of the technique ensures that everything from your logo to your slogan may be overlaid in glistening gold, silver, white or black foil. 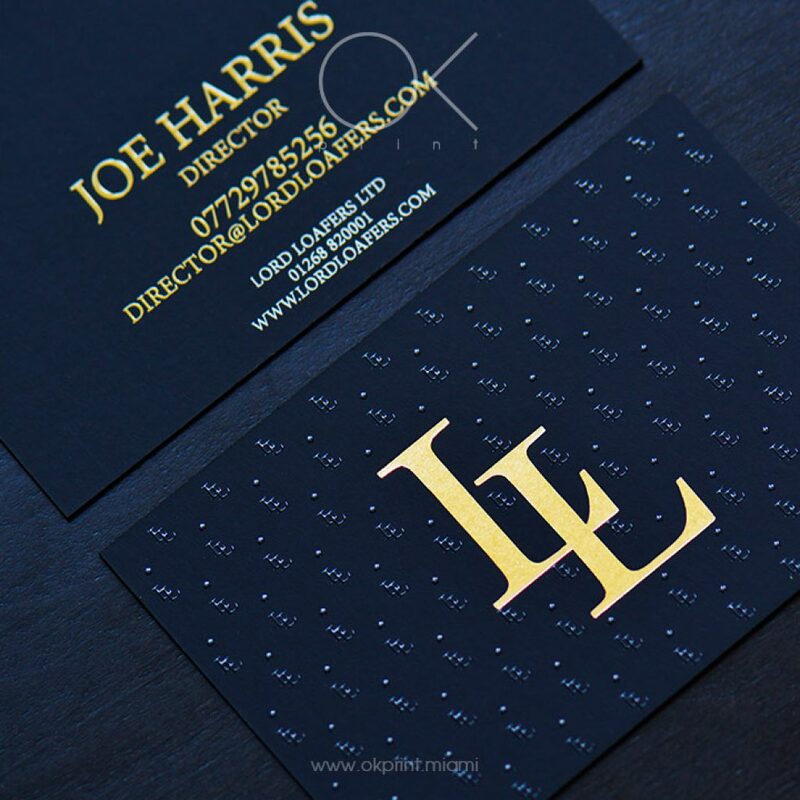 • Silver foil contrasts best against a darker palette, such as black card; whilst gold foil achieves a timelessly luxurious look if coupled with deep blue, cream or black. 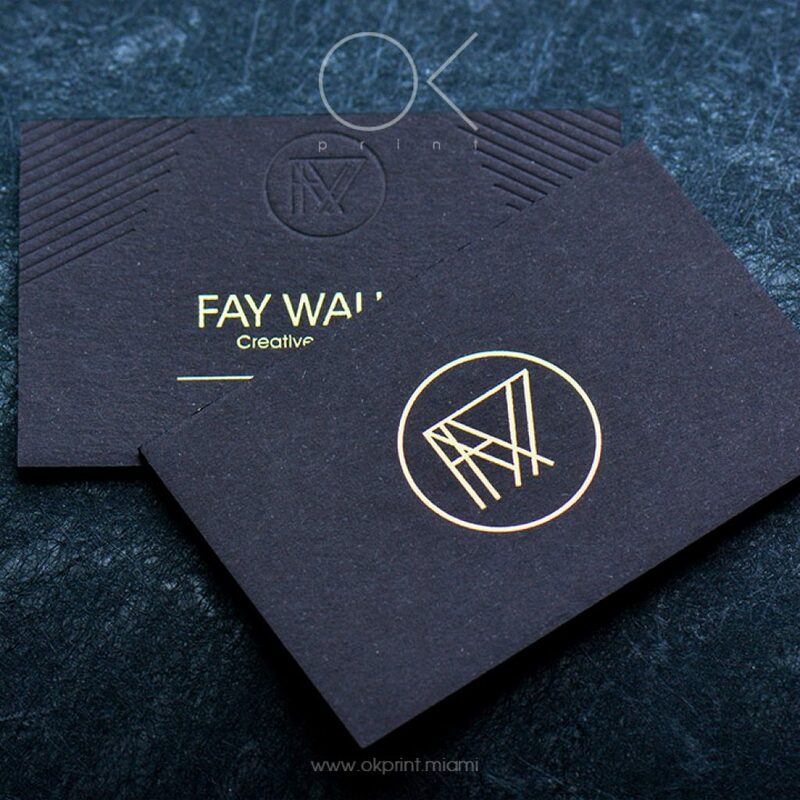 • When you wish to create striking contrast, there may be few as perfect a paining than that of white foil coupled with black foil. 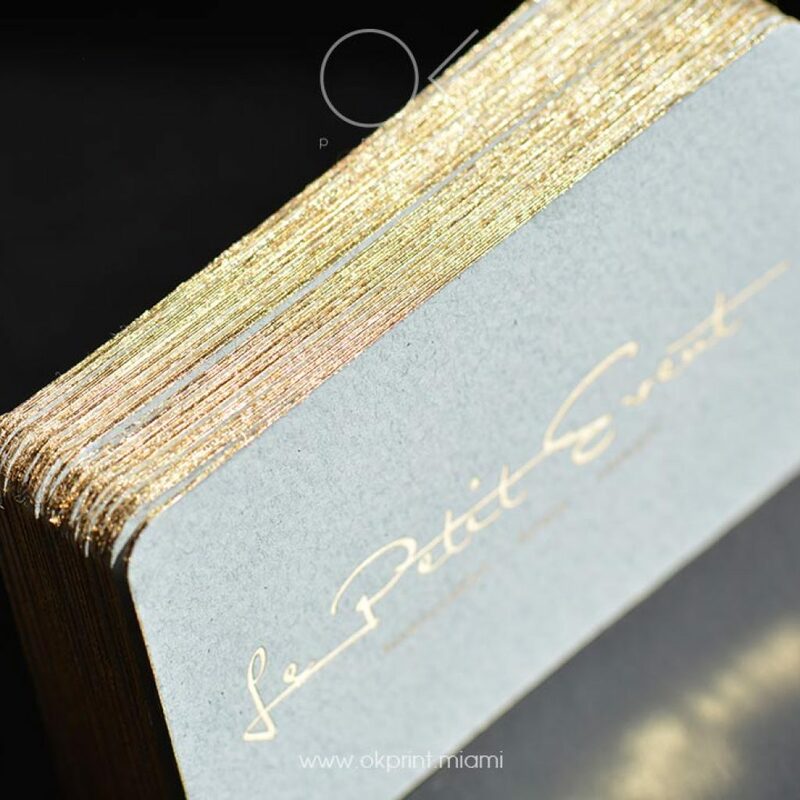 • Finally, for the ultimate balance between a tactile experience and a vivid, visual impact, you should consider combining foil stamping with other premium processes, such as embossing. 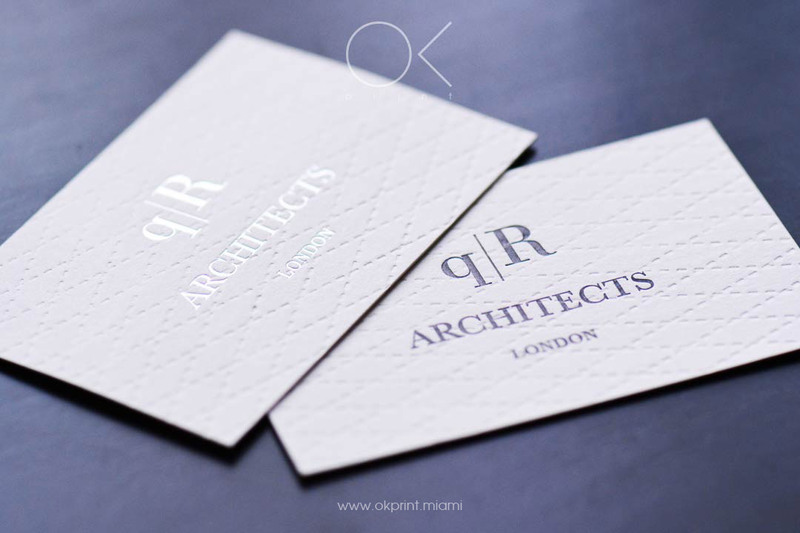 Explore our portfolio and discover how impressive the results can be.